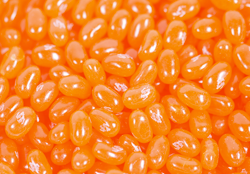 Gourmet jelly beans with a orange crush flavor that will make you think you are drinking a orange crush soda pop. Great for party favors! !